Estate resale evaluations: Our expert jewelry appraisers are always happy to view your estate collection or inheritance with a critical eye to determine what it’s worth for used resale (the immediate cash liquidation value) or wholesale recyclable value. Estate appraisals: If you’re planning on valuing your estate jewelry for estate planning, estate inventory or equitable distribution among heirs, our appraisers determine its estate value. If, on the other hand, you plan on insuring your estate jewelry, we are happy to determine its retail replacement value, which can occasionally differ from its estate value, to ensure your plan covers its full amount. Estate current price estimates: If you’d love to know what your estate jewelry is worth in terms of its current price, we determine its fair market value based on the prices of items of similar style, quality and condition from upscale establishments. 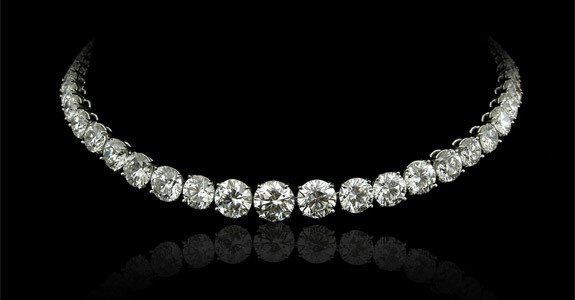 Estate jewelry sales: We are happy to sell your estate jewelry via consignment to new owners who appreciate its value. Our appraisers will carefully determine the value of your estate or period pieces, which cannot be replaced with contemporary items. We ensure that their valuation reflects their unique style and timeless quality. For compassionate handling of your precious estate jewelry and expert estate evaluations in Bloomfield Township, MI, or the surrounding Detroit Metropolitan Area, call our experienced estate appraisers today at (248) 671-0087.